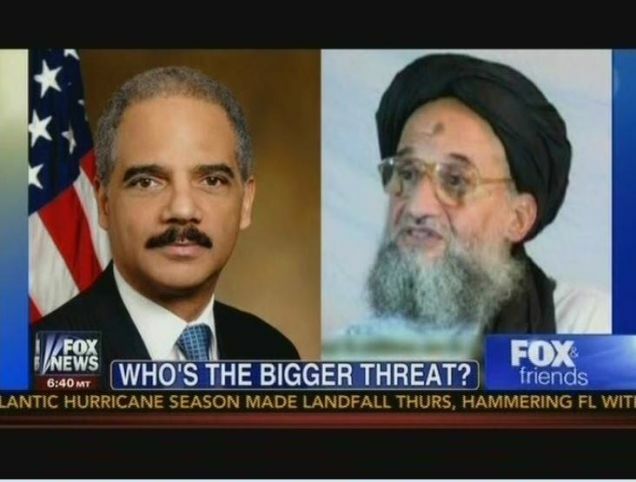 Fox News Is Just Askin': Is Eric Holder a Bigger Threat Than Al Qaeda? Disgraced Florida man Allen West, who was forced out of the Army before being voted out of Congress after just one term, is now a Fox News talking head, naturally. One of his first orders of business? Getting to the bottom of this question: Is America's sitting attorney general more dangerous to us than a terrorist leader focused on murdering as many Americans as possible? Hey, it's just a question.